We bring special occasions to life with our ‪‎bespoke gifts. 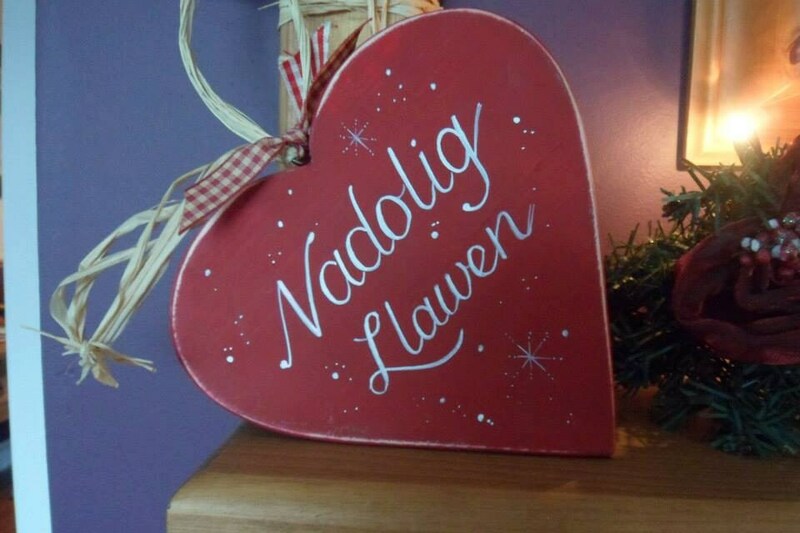 This is a 18cm handmade and shabby chic distressed red wooden heart, with.......Nadolig Llawen, Merry Christmas or Believe in the Magic of Christmas quote. 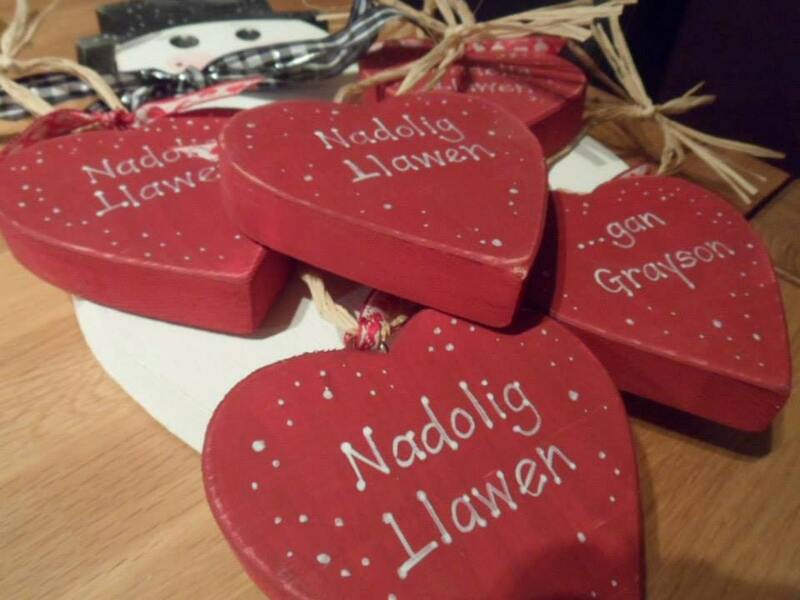 The smaller hearts make fabulous name tags...... painted Christmas red and crispy snow... White. 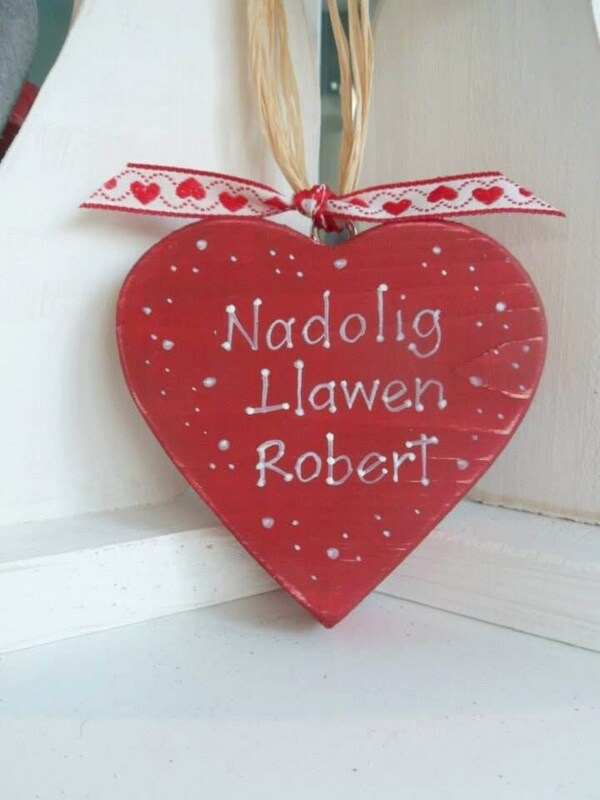 Our 18cm hearts make beautiful Christmas decorations and gifts for family, friends and teachers alike. 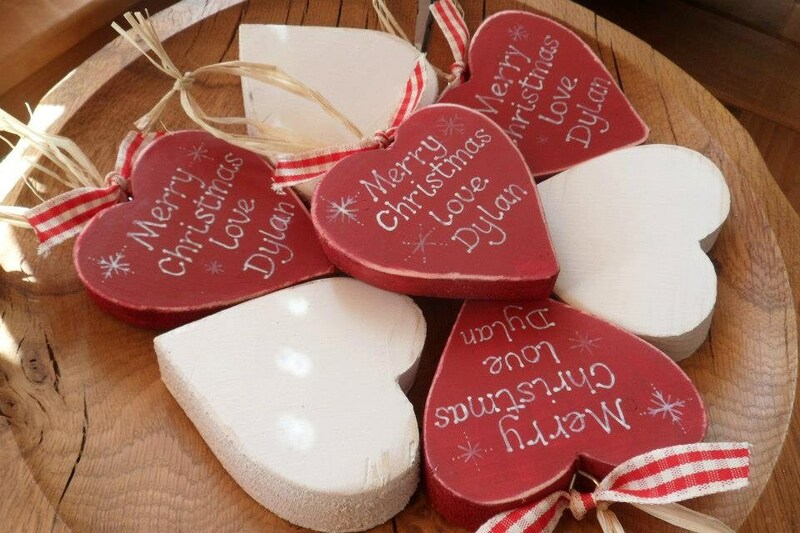 Personalise with a little messages and names. All of our wooden plaques are hand painted, and then sanded back to reveal the wood grain. 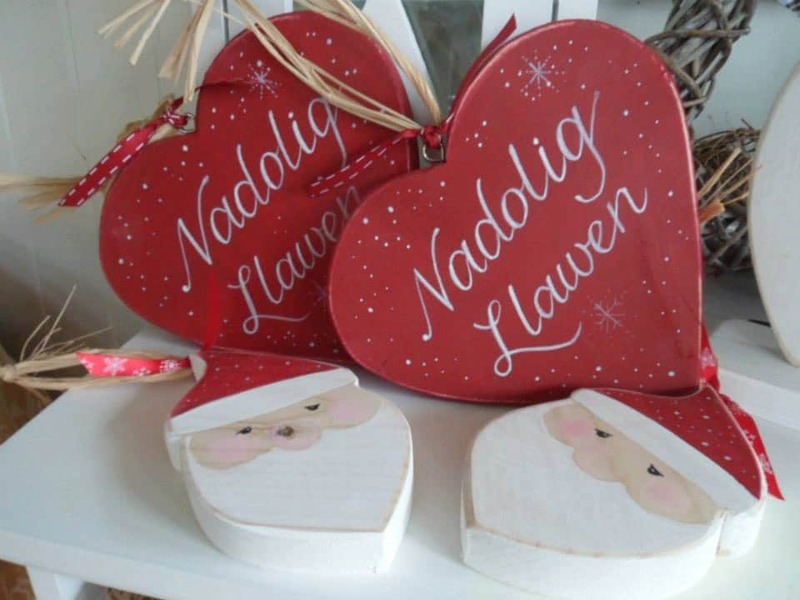 They make fabulous table decorations, perfect on the Christmas table or on the mantel. Beautiful item received quickly and well-packaged!